Photo-holding locket two inches across, hand stitched in 100% merino wool. 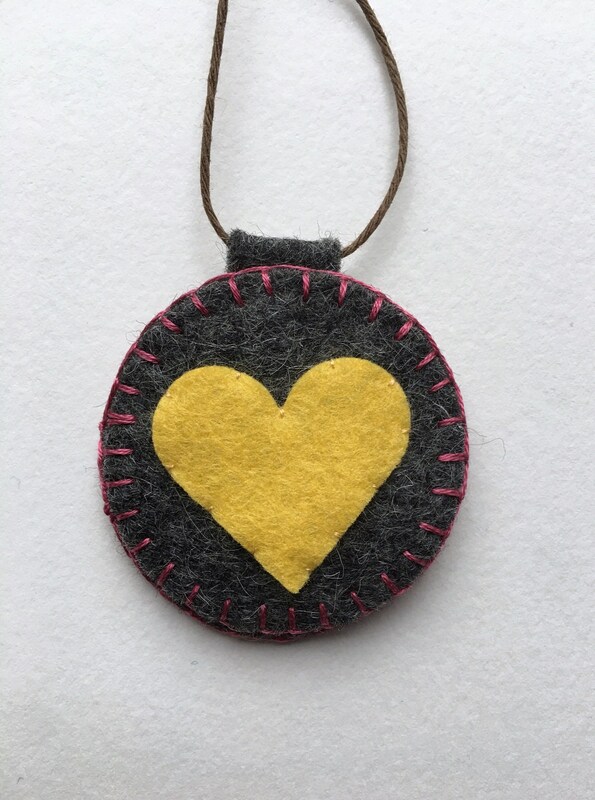 In heather charcoal with a pale yellow heart and detail stitching in berry. Snap closure.